No job is too big or small. Offering home, commercial, long distance moving, packing and junk removal services in Stouffville and surrounding areas! There is a lot to plan and coordinate during a household move and it can all become overwhelming very quickly. Fortunately, you can hire a professional Stouffville residential moving company for your household move. From large family homes to studio apartments, AM Ontario Moving & Storage is your Stouffville mover that can customize a moving package that matches your needs. Our professional movers are experts in household moves and have extensive experience and resources to handle the any-sized move. AM’s employees are highly trained on how to handle different items during moves in Stouffville. If you are relocating fragile items, our professionals will tell how they will be packed and whether you will require special containers for them. We will also design and implement a moving strategy based on the configuration of your residence and choose the best mode of transportation for your needs. No matter the size of your company, using a commercial moving service provides many benefits. Moving a business is a lot different than moving your own residence. There are furniture and equipment that a business will have that require special handling. By using AM Ontario Moving & Storage in Stouffville, we can ensure that all of your company's property is moved quickly, effectively and safely. AM Ontario Moving & Storage in Stouffville Packaging Services is a well-renowned moving company that prides itself in providing exceptional packing services. We offer full packing services to ensure proper safety of your items while in transit. In the fast-paced modern world, moving to a new home can be a daunting task. You are involved in so many things when planning your move and packing shouldn't be one. AM Ontario Moving & Storage in Stouffville offers junk removal services for your home or your commercial business. 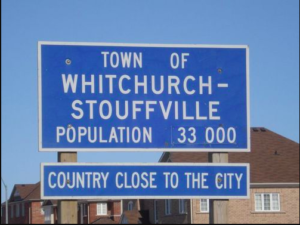 The population of the urban area in Whitchurch, Stouffville has grown up to 4 times since the year 1980. The superb transportation system and improving infrastructure is the key to its popularity. AM Ontario Moving & Storage is the leading Stouffville Moving company catering to the moving needs of Ontario and cities across. Stouffville Movers provides a variety of moving services encompassing residential moving, packing and unpacking and commercial moving services. It is not only in the Stouffville city that we deliver moving services, but we cater to the neighbouring places as well. Our team of movers is extremely trained, qualified in the realm of relocation whether it is office move or a house move. They will guide you most professionally when it comes to moving. AM Ontario Moving & Storage Inc. is your one-stop solution for all the moving needs. If you require professional movers in Stouffville to help in packing, we will send professionals to your place to thoroughly evaluate all your belongings and then pack them carefully for you. After this, our professionals will load the items in the van to finally secure them for the move. We are also capable of sending movers to any furniture shop if you require home pieces to be delivered to your home. AM Ontario Moving & Storage makes sure that all your belongings remain safe and arrive scratchless at your office or home. You will be glad to learn that in the entire Stouffville, we offer the finest moving services since our staffs are trained and hold years of experience in the field. In fact, we offer continuous training to our staffs and train them in driving, packing, unpacking, loading, unloading, and others. So, they know all the tricks and techniques associated with moving to deliver fast, efficient and safe services. To provide unmatched and fast moving services, we also make use of GPS system that displays traffic report from time to time. Our services are thus faster and efficient. To make sure your property and possessions do not undergo any damage when in transit, you need only trained and experienced movers. The movers must be adept at using modern tools, equipment and techniques to ensure safe moving. They must indeed do things to save your time and money. Whether it is an office move or a household move, we are specialists in all. Apart from office and home moves, we can also schedule small moves whereby we can shift just your wardrobe, piano or the bed. Our professionals can also offer you home clearance services to get rid of unwanted items from your office and home premise. You may contact us now to discuss out your moving needs. We will prepare a customized package to match your needs. • We can move heavy equipment that includes fridges, washing machines, refrigerators and various other household items that are very heavy. Our staffs are proficient in handling every item of yours. • We can help you in removing blinds, curtains, household fittings and fixtures. Such service is provided days before the actual date of moving. But, we charge extra for this. • Having state-of-the-art material handling equipment, we can do all the furniture dismantling and installation work for you. We may also help to relocate any extra furniture. 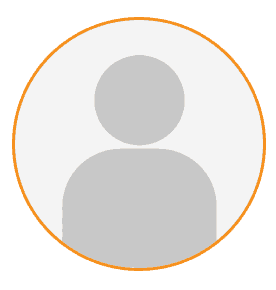 • All our professionals are excellently trained at handling computers and electronic goods. They can efficiently handle all the electronic items in your home and ensure a safe move. When we are doing the packing, we request you to stay with us all throughout the moving. This is to ensure the safety of the goods such that no item is left behind in the process of moving. How can we help in the residential move? If you are looking to move anywhere in Toronto region, Stouffville area, our efficient movers can ensure that the entire shifting takes place conveniently and safely. We will also charge cost-effective rates for the entire move. It is stressful to shift the entire home to a new location, and thus you need the help of professionals. If you choose us for the moving services in Stouffville area, you will save yourself from a lot of stress and tension. Our uniformed and trained professionals can ease the process of relocation. Each professional is trained, polite, courteous and helpful. Not only this but also we have an entire fleet of vehicles that are meant exclusively for moving. The vehicles are all equipped with packing materials and trolleys. 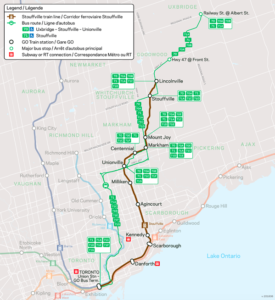 Why take our residential moving service in Whitchurch-Stouffville? • You will be glad to learn that we charge competitive rates for a residential move. Our moving service includes packing and unpacking as well. • Home moving service encompasses moving in and outside Toronto. We can move furniture, piano, boxes and carry out packing and unpacking. Whether you are moving from GTA or to GTA, you can call us. We can schedule a single item move to the entire house move. • Till now, we have served many customers. So, we have the needed experience to carry out your moving task. On the day when you need to move to Stouffville, we will send our experienced team to offer professional services. They will take away all the stress from you while giving an absolute peace of mind. We are here to make the entire moving a hassle-free experience. Our fully trained staffs make use of high quality and state-of-the-art packing materials. Whether you need to send jewelry, office documents, confidential files, you may be sure that everything is in safe hands. We are committed to what we do and tend to combine affordability with professionalism in delivering moving services. So, you can give us a call if you need any assistance.